Happy Easter Season! This is such a wonderful time of year — filled with new life, renewed hope, and great joy in the possibilities which present themselves before each of us. For me, Easter time has always been a time when I am reminded of how opportunities for new life and second chances present themselves in everyday experiences. While it is usually easy to recognize these opportunities in nature — as new life, once thought dead, breaks through the soil to bloom into beauty — these moments happen in human relationships as well. A little more than a month ago, a young couple that I know shared the joy of the birth of their first child. They were overwhelmed at the gift of this new person! And as they stared at the tiny hands of their newborn son, the couple could not help but wonder at the possibilities that this child would encounter in his lifetime. Would he grow to be another Pope Francis — another Billy Graham — another Einstein? So much potential in one life! While I was sharing in the joy of my friends, I also considered the struggles of the children currently living in Our Lady of Fatima Orphanage in Isale-Aro, Osogbo — in southwestern Nigeria (West Africa). The orphanage — staffed by a congregation of religious Sisters — is home to dozens of children who have lost their mothers during childbirth, or children who have been completely abandoned by their families (including handicapped children). Death for mothers and infants during childbirth is an ongoing problem in many parts of Africa. According to a recent United Nations’ report, since only about one third of pregnancies in Nigeria is attended by a skilled attendant, a woman’s chance of dying from pregnancy and childbirth in Nigeria is 1 in 13. It is a tragedy that Nigeria is addressing — yet in the meantime, every year more and more infants who have lost their mothers during childbirth need immediate care! As I read Sr. Mercy’s letter, I continued to ponder — just as any parent of a newborn would — about the seemingly endless possibilities of these little ones. We do not know if one of these little ones will become a researcher who discovers a cure for cancer. We do not know if one of these infants will rise to become a great leader who will heal a hurting nation. We cannot foretell if one of these babies will raise a family that will be a model of love for others to see. What we can say for certain, though, is that without our help none of these things may happen. There are so many things that we can do to help infant children like the ones Sr. Mercy wrote about in her letter. In your own community, you can volunteer at your local hospital (perhaps even in the maternity section). Especially in inner cities, many hospitals overloaded with those needing help, could use an extra pair of hands. You could also donate infant formula, baby cereal, diapers and toiletries to your local food pantry or emergency shelter. Oftentimes, these organizations have the need for such items but are without them when the need arises. 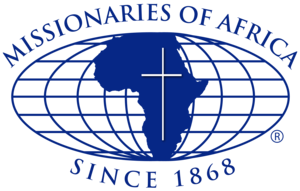 I am also praying that you will send whatever you can to help us raise at least $30,000 in essential support for the Our Lady of Fatima Orphanage in Nigeria as well as to be used for our other projects and programs providing assistance to needy children throughout East and West Africa. Any amount you can send — whether it is $50, $100, $500, or even more — can do so much to sustaining the incredible hope that the lives of these children offer to us all. Thank you so very much for all that you have done and continue to do. God bless you for your kindness!